Your Position: Home > Memory > New DDR/DDR2 Memory 4GB for Old Desktops plus DrFaster Pro RAMDISK which improves HDD --UPGRADE YOUR OLD PC COMPLETELY! 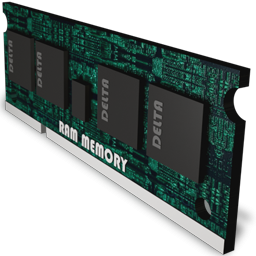 New DDR/DDR2 Memory 4GB for Old Desktops plus DrFaster Pro RAMDISK which improves HDD --UPGRADE YOUR OLD PC COMPLETELY! Although old type memories are hard to find now, Info Tech will insist on producing all kinds of memories and improving old PC performance. Please choose from DDR or DDR2. They are brand new and are provided for the same price! Most desktops have 4 ram slots. Compatible with All DDR Desktop computers! Compatible with All DDR Desktop computers. Compatible with All DDR2 desktop computers! An very detailed instruction book will be provided as well, telling you how to upgrade memories for all kinds of desktops. Tools including desktop screwdrivers will also be provided. While at first glance, it may be in your best interest to shop around. 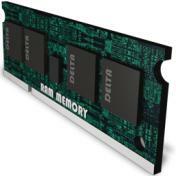 Know that when you purchase RAM from Info Tech (KMALL is directly managed by Info Tech), you are getting Grade-A brand name computer memory. Cheap computer memory, while possibly being compatible, can cause system crashes, error codes in your computer and even damage your motherboard. This ends up costing you time and money. Trust when you buy from Info Tech, you are getting top of the line product from a top of the line company. We test every module before it leaves the building and back all of our purchases up with a lifetime warranty. -------- which will greatly improve your hard drive performance as well! 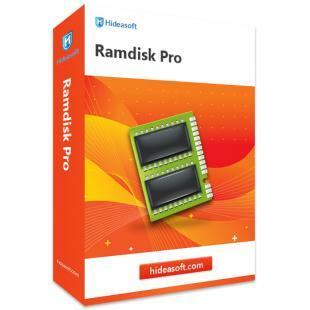 Dr Faster RAMDISK is developed by Info Tech and is an ultra-fast ramdisk driver. Most old computers are running 32bit systems. 32 bit Windows can only recognize 3GB RAM. However, with Dr Faster Pro, all your memory will be recognized and used. 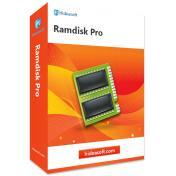 The Ramdisk appears like a physical hard disk to the operating system and programs. After installing the 4GB InfoTech memory, please use Dr Faster to allocate and transform 256MB-1024MB memory space into a ramdisk. Dr Faster will set this RAMDISK as your super speedy cache for your hard drive, making your HDD a hybrid drive! And this will greatly improve your hard drive performance as well. Return is accepted within 30 days after the buyer's receiving the item. If this item is defective upon receipt, customer has up to 30 days from date of receipt for exchange of a new one. Delivery fees will not be refunded if the product is not faulty. 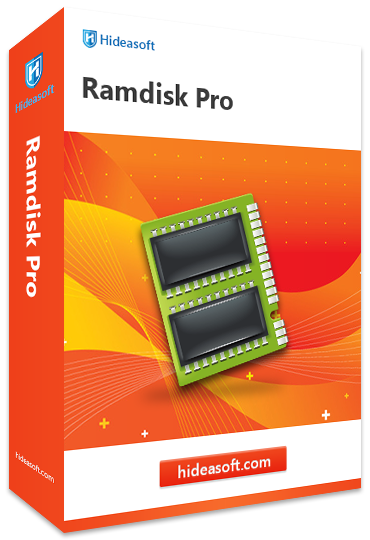 Dr Faster RAMDISK has a free trail version which let you set up to 32MB ramdisk for performance testing.This limitation is set for trail only and will be removed on the official version.The official version supports up to 128G ramdisk. Please send email to support@kmall360.com if you want a free trail of Dr Faster ramdisk. If your address is within continental Europe, your order will be dispatched from Info Tech Europe office in Copenhagen, Denmark. Otherwise your order will be dispatched from Hong Kong. All orders will be delivered via express couriers, eg. UPS, DHL, or EMS H.K. Orders will be carefully packed and protected. Normally it will take 3-5 working days to be delivered. 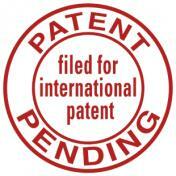 InfoTech Company is an information technology research and manufacture company. The company has offices in Hong Kong and Copenhagen. Our Hong Kong office runs our main factory in Hong Kong which produces PC accessories and 3C devices. We have implemented a strict and complete quality control system, which ensures that each product can meet quality requirements of customers. Besides, all of our products have been strictly inspected before shipment. Our products have attained FCC, CE, QC certifications. Our online e-commerce shopping mall, KMALL, is also managed by our Hong Kong headquarter. KMALL is ranked as one of TOP 10 e-commerce companies in Asia-Pacific regions. The key of our success is service. We have a highly efficient team to deal with inquiries from customers. We are experienced in selling goods to most of Europe nations and Anglo-speaking countries, and have a good reputation among clients. With 3 factories, we can provide a wide range of products. In fact, our main series now include 3C, PC, beauty tech and cache systems. Moreover, besides standard products, we also provide an extensive range of customization services in order to cater for your special orders. Our European office is focused on enhancing the performance of computer systems, increasing the effectiveness and operation of storage systems. As a result computers using our solutions are faster, more reliable and longer lasting. Intently focused on these goals, we develop breakthrough technology solutions in response to the real-world problems of computer users. We offer solutions to slow boot speed, long application launch and data file access times and overall degradation of system performance. Software Products: We create high-performance software that optimizes and maintains application performance and efficiency, extends equipment longevity to make technology, people and businesses more productive. Hardware Products: Since we developed significant expertise on the Windows based file systems which have resulted in performance improvements on all of the modern storage systems within a computer. This has resulted in a series of hardware products including Speedycache, CloudPC, and Faster Stick etc. From 01/06/2014 until 30/06/2014, every buyer will receive additional gifts: 1TB cloud storage space, and 5 year VPN boost service. The VPN increases network speed, allowing old computers to experience real broadband. Internet browsing and playing online games may have already become part of a computer users' life. However, old network cards and old computers cannot always provide users with the chance to enjoy high-speed optic fiber broadband. Thus, we offer our customers five-year network acceleration without any additional cost. Our offer includes server VPN service and prefetching of popular sites. It reduces network latency and optimizes Internet caching and node connection. Users can now enjoy fast Internet connection. Many server nodes are available, and the fastest node can be automatically selected for clients. KMALL is the largest online retailer in Hong Kong, and is among the best online retailers in Asia-Pacific region. KMALL has 2 million registrated users in Europe, and 14 million registrated users in China and Hong Kong. According to a report from ChinaDaily and Industriesnews.net, KMALL ranks the 10th most popular online shopping sites in China. PC was showing signs of distress, so did all the usual tests. I then ran memtest64 and discovered that half of the memory modules had developed faults. So replaced the faulty ones, ran the tests again to confirm that everything was OK. Like a new machine! The price was good and the delivery was quick, so all in all I am very happy. Memory cards were securely packaged. No problems with installation. Up and running in 5 minutes. Happy with the product and the price. This low cost item has quickened up my computer no end. No hanging about for the computer to boot up. What can I say? It works and it was cheap. 'Nuff said. Easy upgrade for a Dell PC from 1Gb to the 4Gb needed to have a chance of running Windows 7 Pro (32 bit). I had this extra memory fitted into my computer recently, and as far as I (a mere user) am now concerned, it was worth while. All working swimmingly! The RAM upgrade proved a little bit fiddley to fit for an amateur but proved well worth the effort for the increased speed achieved on my PC. Good performance and good value. Easy to install and has proved reliable. I had no problem with this product-did what it said! I like this Dr Faster ramdisk, which I swear worths much more than the 4G ram!